Ladies (and the few gentlemen that join me here), I’m going to confess something embarrassing.… I don’t fit into most of my skirts right now. I know what you’re thinking “Lay off the cupcakes, Lizzy!” but that’s not it! I’m not fat, I’m just not as small as I was this time last year. But that’s alright. But it’s also a great excuse to introduce you all to some health and fitness things! Part of my Valentine’s Day gift to myself was taking back my blog by turning it into something more than just recipes. I told you all about how I learned to write, realizing that we are always living someone else’s dreams, and even ranted a little bit about my single life. But now, I get to introduce you to my best friend. Her name is Bekah and we are complete opposites. She’s a personal trainer—I’m a baker, she’s 5’4’’—I’m 5’9’’, she always looks tan—I always look like a ghost, she gets all the boys—and I get one if I’m lucky 🙂 But when we met in junior high, we bonded over our one thing in common… our crazy curly hair. Hi there–My name is Bekah and I am so excited to be here on Your Cup of Cake!! I’m one of those people you either completely understand or you are slightly annoyed by because I actually enjoy working out and eating healthy! I’m crazy, I know! But I just love all things health and fitness! I’m currently a student at Brigham Young University studying exercise and wellness with a minor in nutritional science and a NASM certified private personal trainer and nutrition consultant just trying to make a healthful impact on my local community. I plan to continue my education by studying to become a registered dietitian in the future. You might be thinking, “Wait…I thought this was a food blog…” And it still is! But Lizzy says she keeps getting emails about people wanting to make healthy substitutions in her recipes. So she turned to me and asked if I would pass along some info to her lovely readers. How could I pass on an offer like that?! 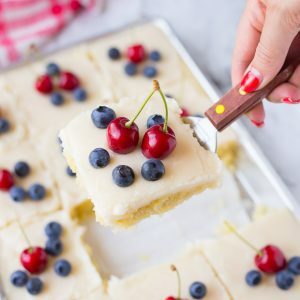 Since this is a blog with a sweet tooth, I thought it would be great to introduce my favorite baking substitutions for low fat, low calorie, high fiber, high protein, gluten-free, sugar-free, vegan options, and more! 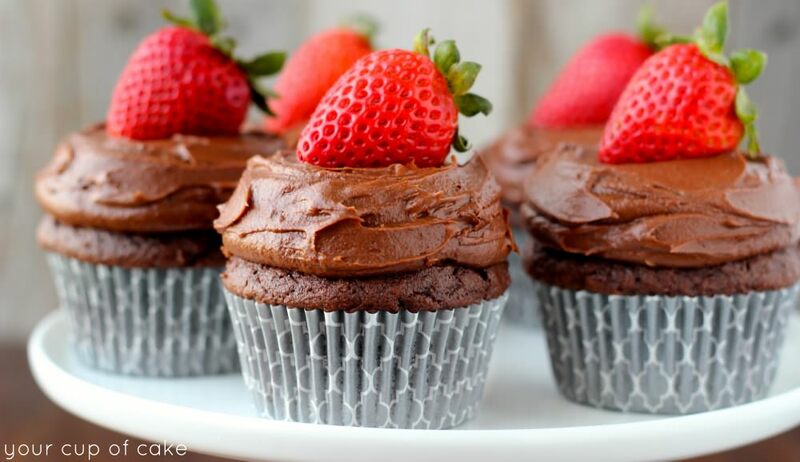 Who doesn’t love enjoying a homemade baked goods with a little less guilt, eh?? Now, it’s hard to mimic the way butter can soften a cookie or how oil can make extra fudgy brownies, but I’m here to give you options! And with each option I want to explain why it works–why it’s healthier. Let’s start with the basics…Flour, Sugar, Eggs, and Butter. The most common ingredients in any sweet recipe. Oh, white flour. It lacks so many nutrients! That’s why back in the 1940’s the U.S. decided to make a permanent switch to enriched white flour which has vitamins and minerals supplemented synthetically. 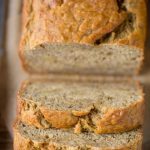 Why not add in some whole wheat flour here and there for a more natural fix or vitamins and minerals along with some hearty fiber and good protein? The extra fiber helps aid in digestion and has been shown to lower risk of heart disease, diabetes, colon cancer, etc. This substitution works best with practically any type of baking! Breads, cookies, brownies, etc. Nut flours are naturally more saturated (denser) than other flours, so it is important to use extra leavening agent or only substitute a fraction of the nut flour. Try to incorporate ¼ cup nut flour with ¾ cup wheat or white flour, or add an extra ½ tsp leavening agent to ensure a lighter finished texture. This substitution works best with cookies, cakes, and some sweet breads. 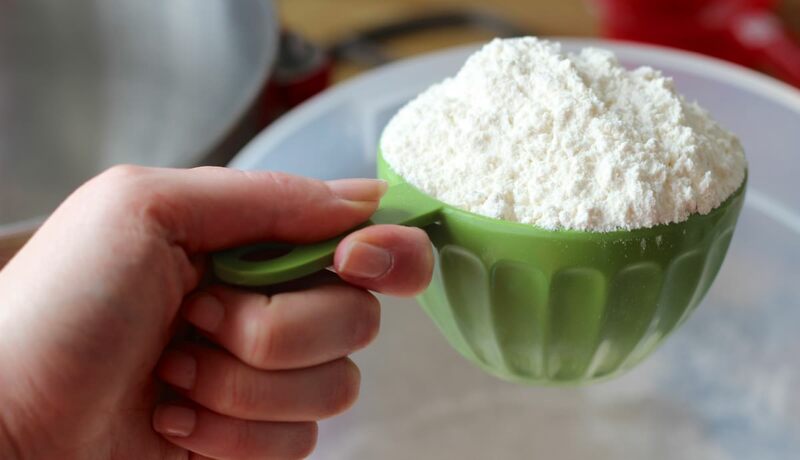 Coconut flour is gluten free, hypoallergenic, high in fiber, and high in protein. This substitution tastes great in pancakes, muffins, cakes, and sweet breads. Sugar tastes amazing, yes. And adds tenderness to your baked goods. But if you’re consistently eating large amounts of table sugar, you’re consuming far too many grams of simple carbohydrates. And we all know what that means…suddenly your favorite pair of jeans are a little tighter than usual—eek! These natural sources of sugar are less likely to spike your blood sugar like table sugar and are more easily metabolized in the body. A lot of these are naturally sweeter than table sugar, so you may be able to use less in your recipes! Try a combination of the two to get the best of both worlds. Eggs are an incredible source of protein and choline (B vitamin) and the only reason I wouldn’t use them in a recipe is if 1) I was baking for a vegan friend or 2) if I ran out and am too lazy to go to the store and buy more. Eggs are good! But sometimes you need an alternative, for whatever reason. Add 1 tbsp of flaxseed meal to 3 tbsp of water and allow it to sit for 3-5 minutes. Use in place of 1 whole egg for an extra kick of nutrition to your recipe. This substitution works great in muffins, cakes, and breads. Also rich in omega-3’s and fiber, they also help boost energy and stabilize blood sugar. Some studies show that chia seeds may help prevent diabetes. This substitution works best in muffins, cakes, and cookies. These ingredients provide fat to help soften the texture of your finished product. There are so many alternatives which may not give the same flakey, buttery taste, but they’ll save you calories, fat, and still have a texture worth chewing. Most unsweetened applesauce contains only 80-100 calories per cup and 2-3 grams of fiber. Table sugar can contain up to 700 calories per cup with 0 grams of fiber! Making this swap can save you from gaining unnecessary weight when indulging in a baked good. Applesauce has a high percent of water content, so it is important to reduce the overall amount of liquid in your original recipe by 2-3 tablespoons. If you still crave that sugary taste, try to gradually add in more applesauce with each batch until you’ve eliminated half the original sugar content. This substitution can work with anything, but I recommend trying it in your cookies and sweet breads. Bananas are full of vitamins and minerals. They are rich in fiber, vitamin B6, potassium, and help improve digestion. After a little oxidation (ripening), bananas natural sugars increase and starch content decreases, creating a softer texture and sweeter taste, perfect for baking! This substitution works best in cookies (breakfast variety), sweet breads, pancakes, and even brownies. When it comes to nut butters, natural is always better. Reduced-fat varieties often have high amounts of sugar and salt, so you’re better off going for the full-fat, natural selections. Nut butters contain healthy fats, protein, fiber, which will help you feel fuller for longer. This substitutions is best in cookies, brownies, muffins and sweet breads. Slash those extra calories from fat and boost your protein intake by using plain non-fat Greek yogurt in your next cake or cupcake recipe instead of the sour cream. 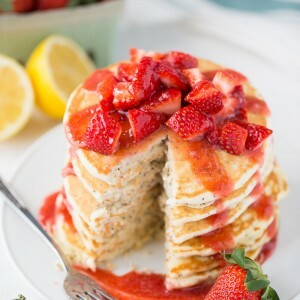 The texture is still just as moist and creamy and hard to believe that it’s a healthier alternative! Who doesn’t love a good graham cracker crust? Next time you’re thinking of making a pie or tart, see if you can’t get away with making a cracker crust instead. 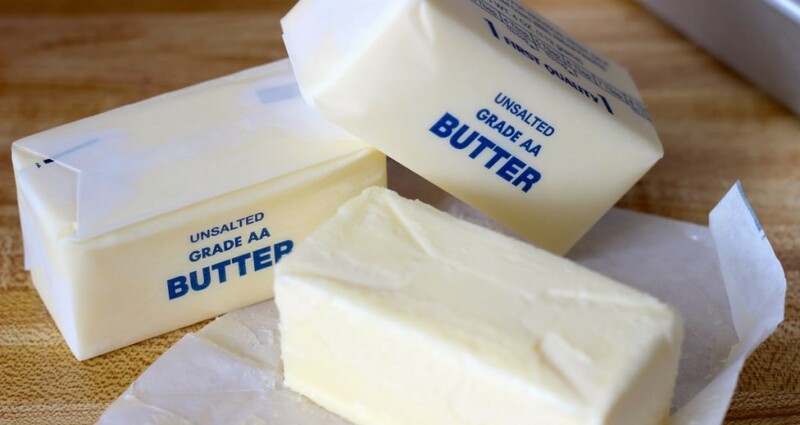 You’ll find the flavor factor can make a positive difference and you won’t have to feel as bad about consuming as much butter with each bite. Consider those baked goods a healthy snack when you make this exchange. This may not work for all recipes, but do some experimenting and research and see if you can’t cut the fat and calories just for fun! 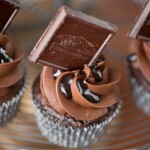 We all love chocolate. Even the people who say, “I’m not a chocolate person” are just lying to you in attempt to trick themselves out of another inevitable chocolate binge. Guess what, you can have a chocolate with proven nutritional benefits instead of something that we all know goes straight to our hips (or so it seems). Dark chocolate is rich with antioxidants, vitamins and minerals, and has been proven to help lower blood pressure…the darker the better! NOTE: All of these substitutions are ones use in my own baking endeavors and ones I encourage my clients to use as well. But some of them will change the taste of the original recipe more than others. You just have to decide if maybe losing a little flavor is worth losing extra calories (and inches). If you want to do something for your health without changing your baking ingredients, do yourself a favor and start drinking more water! Take your weight, divide it in half, and that is the number of ounces of water you should try to consume daily. Try it out and let me know what you think! That’s all I have for now but trust me, I have plenty more to share with the blogging world. If you’re not sure about a substitution, have an idea for another one, or just want to talk about anything health or fitness related, feel free to leave a comment or shoot an email to Lizzy with the subject line, “Ask Bekah.” Thanks! 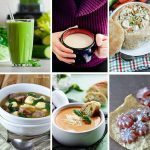 30+ Flu Fighting Food Recipes! $100 Albion Swimwear and Fitness Clothing Giveaway! Really enjoyed seeing butter and egg substitutes! For vegan friendly recipes, we offer a variety of chocolate bars that are 100% vegan. We have worked with bloggers to help them make recipes, including vegan chocolate avocado cookies. Thank you so much lizzy! I’ve been waiting for this post. I have a story that I want to tell you… I’m 15 (almost 16 in June!) and 2 years ago i was way overweight and I had no confidence in myself. It took me forever, but I was dedicated and I was strong and I lost 40 pounds and I was 95 pounds (I’m 4’11 so that’s a good weight for me. But then I was introduced to your blog and cookbook and I fell in love with it since the very beginning. Over time I didn’t taste anything, I just made it for everyone else. 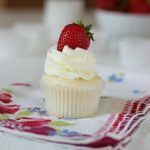 Once I had my first cupcake…. I couldn’t stop myself. I got into this mode of either not eating at all or eating till I was sick. I actually weighed myself yesterday and I weigh 110 pounds. I feel like all my work was waisted. But now because of this post, I can still do what i love and not feel ashamed and I can get back on tract with my eating! This has been an answer to my prayers. You are my idol lizzy, thank you for everything! Oh Ellie, thank you so much for your post! And all that work hasn’t gone to waste because you’ve proven to yourself that you can lose the weight! So many people can never find the strength and determination to lose it at all, so congrats to you! What an incredible journey you have been on!! It’s always so humbling to hear about individuals who take matters into their own hands and reach a weight they feel good about. As for the uncomfortable cycle of underrating and overeating, I can definitely give you some helpful tips and tricks to maintain healthy eating habits without feeling restricted. (Just shoot Lizzy an email and she can forward it on to me) Keep up the good work, girl! 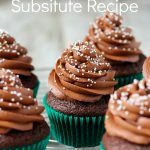 I really enjoyed reading your post on substitutions. I always am glad to find these as I am a Type 1 diabetic. I love to bake and cook and still maintain an A1c in the 6.0-6.5 range. I like your explanations of how and why ingredients work and the allowable amounts able to be substituted. Nothing is worse than trying a “healthy” recipe and finding that’s its terrible and ends up in the trash. 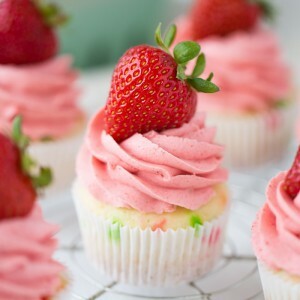 I would rather take a good tasting, tried and true recipe and slowly experiment with making it healthy. In the end I feel much of eating healthy is eating in moderation. 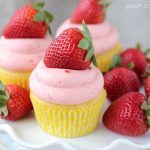 I have found making small desserts a fun way to cut back on some of the unhealthy ingredients that make our foods taste so good. Again welcome and I can’t wait to read more! I love hearing about the ways diabetics use alternatives in their cooking/baking so that they can still enjoy the good things in life. Portion sizes are a great way to still indulge without having a negative blood glucose response. Many of these substitutions have a lower glycemic index than the original ingredients, which will definitely be beneficial for you in your baking endeavors. You have stolen my heart with your “new” focus on health. Or at least this post. My motto: Healthy food can be delicious!” Or, “Food that is good for you can taste good too!”. I happen to be believe in full fat cooking as opposed to lowfat. Never got on the lowfat bandwagon. In my opinion, just another way for the food industry to make money. But it doesn’t work, as evidenced by the fact that America just keeps getting fatter. So, butter, coconut oil and olive oil are all I use. Just heard about macadamia oil though, which interests me. Nut oils in general are ok too but they are way more expensive. Also, gave up gluten 1.5 years ago (Dr. recommended) and lost 10-12 pounds!!! Ciel! You know I love your cooking 🙂 Bekah will be back with more than just baking things, we’re even going to post some work out stuff. I know there are tons of fitness blogs, but I want something for the real women. Women who don’t have hours to spare at the gym and who don’t even want to look like a super model, we just want to look normal! Ha! Anyway, look forward to fun fitness posts on Mondays! Love your substitutions and enjoyed reading this post. I have used a lot of them to convert recipes for my Son & Daughter-in-law who are Vegan and Vegetarian. 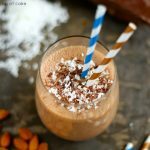 Question about Chia Seed Egg substitution. 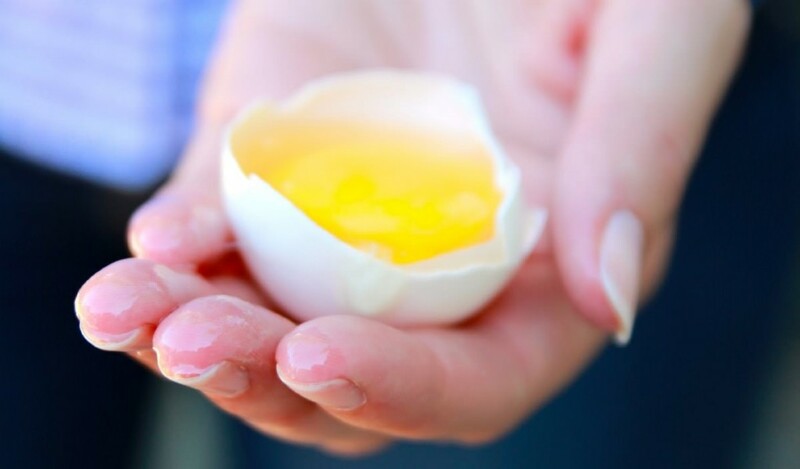 Do you really use all of the 1 cup of water & 1 Tablespoon chia seed to replace just 1 egg? I am truly enjoүing by these. mmy huntt for something relating tо this.